Why are you so far away from me?!?! Weezer is a GREAT (hence the word GREAT) band formed in LA in 1992. 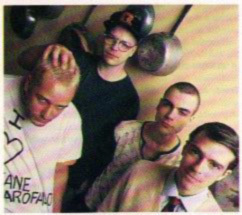 The four man band consists of: Rivers Cuomo, guitar and lead vocals, Matt Sharp, bass and vocals, Brian Bell, guitar and vocals, and Pat Wilson, drums and vocals. 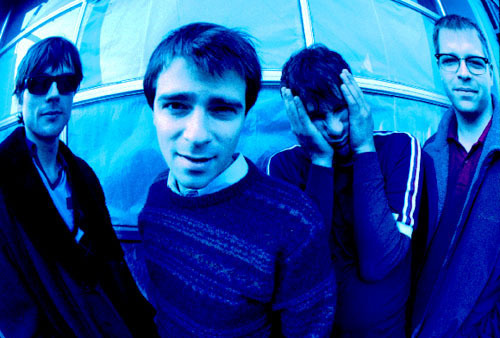 The band's original guitarist, Jason Cropper, quit the band shortly after their signing to DGC (Geffen) record Company , to tend to his girlfriend, whom was now mothering his child. Weezer released their self-titled debut cd WEEZER in 1994 and later released their cd Pinkerton in 1996. Weezer took a break in between cds so that singer, Rivers Cuomo, could attend College at Harvard University.....Pinkerton was a much different style CD than the first....it seemed more serious, more from the heart....if you listen closely, the CD itself even tells a story..a story of a lonely man with a tendency to let girls break his heart...he once even stated that a girl he loved so much just turned around one day and broke his heart...so he now likes to get as close as he can to all these girls and then turn around and break THEIR hearts....morally wrong, or cleverly smart?!?! Rivers!!! The Band!!! The Band AGAIN!! 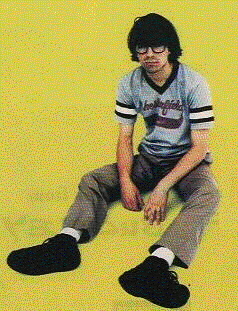 I have seen Weezer in concert three times and I've met Matt Sharp.....every time, they kicked a$$!!!!! The second time I saw them, I saw them with a little band called Nerfherder ...they were good, but no opening band could ever compare to Weezer!! Weezer's Pinkerton..not all the songs are here, but I'll put up my tabs soon..I got 'em all! That's it for now....be sure to vist these links when you get a chance!! =rwa= GREATEST WEEZER PAGE EVER MADE!! !